I first met Alexandra and Robbie this summer for my beach minis. We had such a blast, and they are such a photogenic couple. I got some wonderful photos of them, and they mentioned they wanted to book more in the fall. About a week before the session, Robbie proposed to Alexandra! Immediately I knew we had to turn this regular session into and engagement session, and I was already thinking of poses and fun ideas. 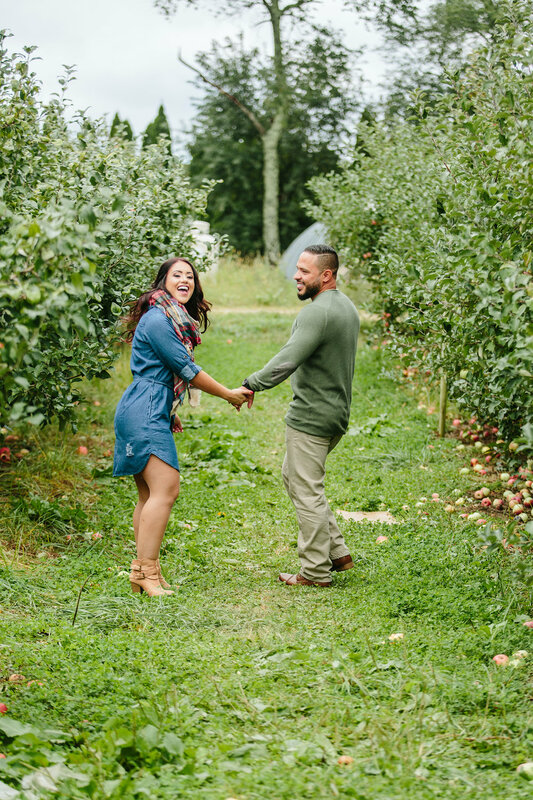 I loved that I was able to not only capture some great posed photos, but I was also able to capture some candid photos of this couple having fun at this apple orchard. 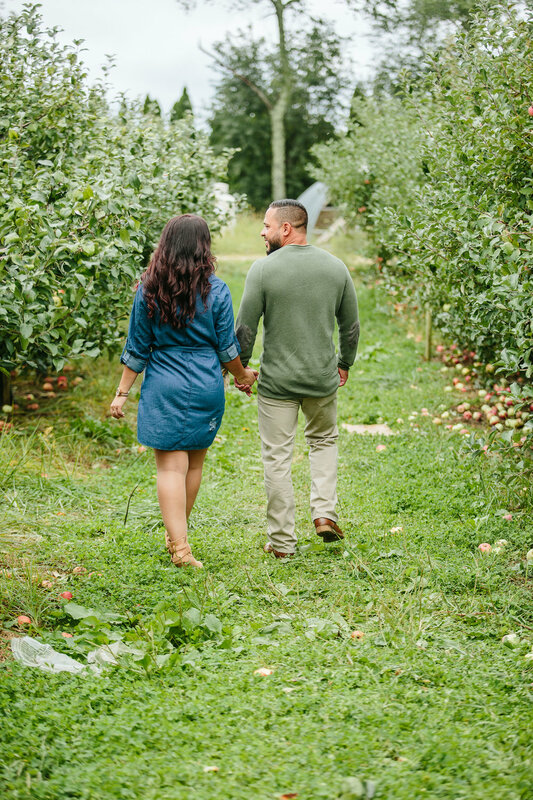 Keith's Farm and Apple Orchard in Acushnet, MA is one of my favorite spots in the fall! 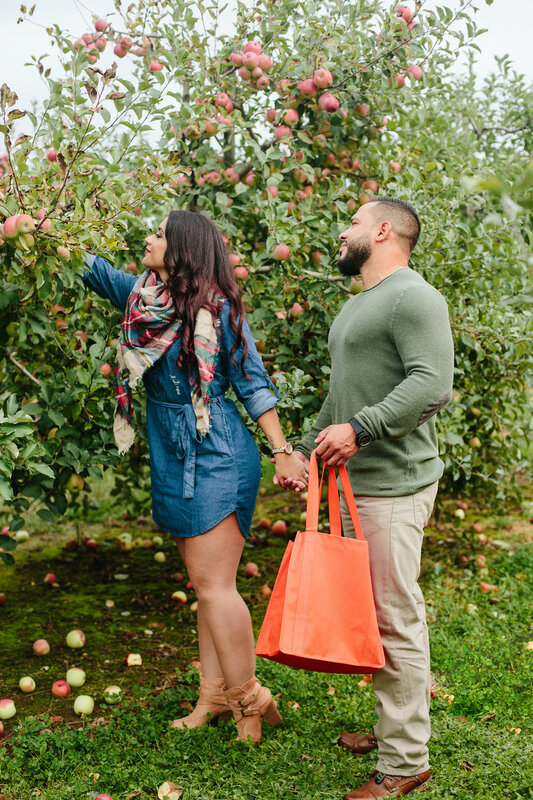 They usually have a great variety of apples and pumpkins for picking, and it makes for such a beautiful backdrop for photos. I'm really in love with this session, and I'm so excited to be able to share this with you today! I think you'll really enjoy these photos!